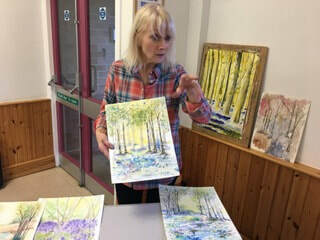 This was our second workshop with Jackie Trinder. 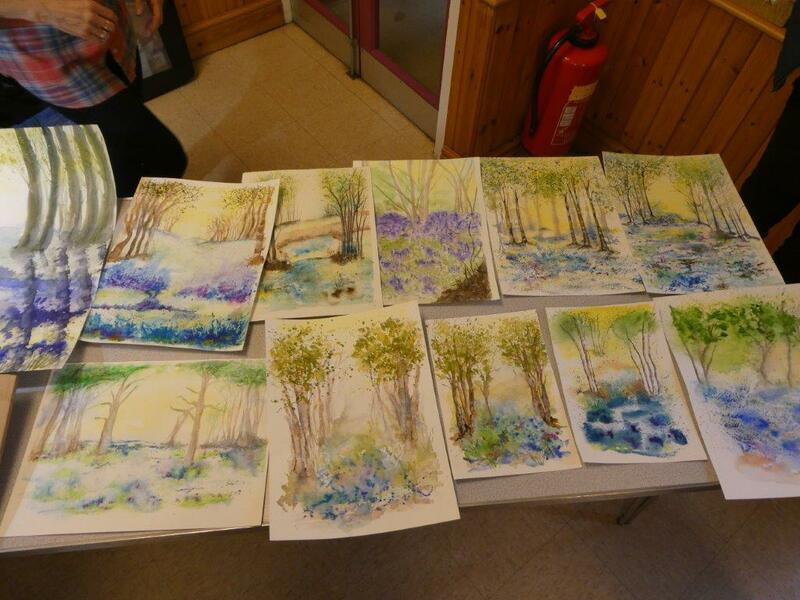 This time we painted bluebell woods using watercolour and acrylic inks. Lots of fun. Photos below. 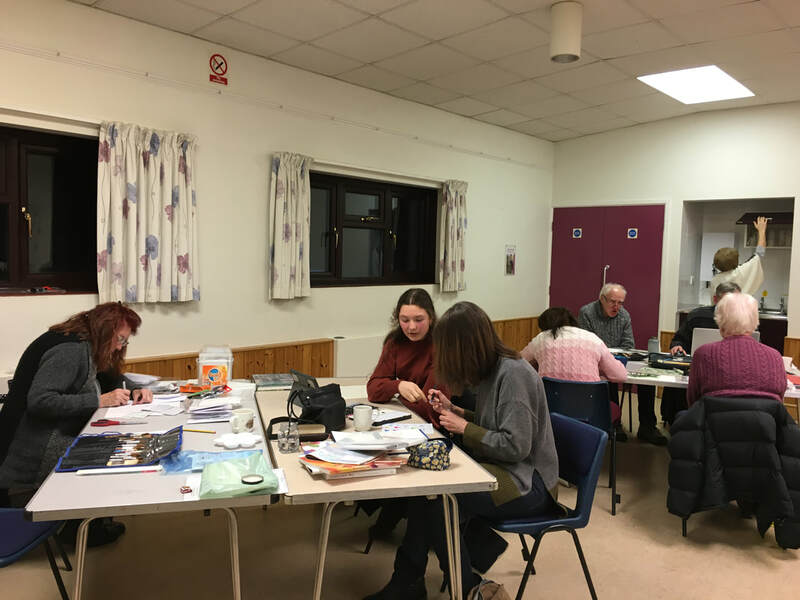 On Friday, 25 January 2019 we held the first freestyle evening this year. 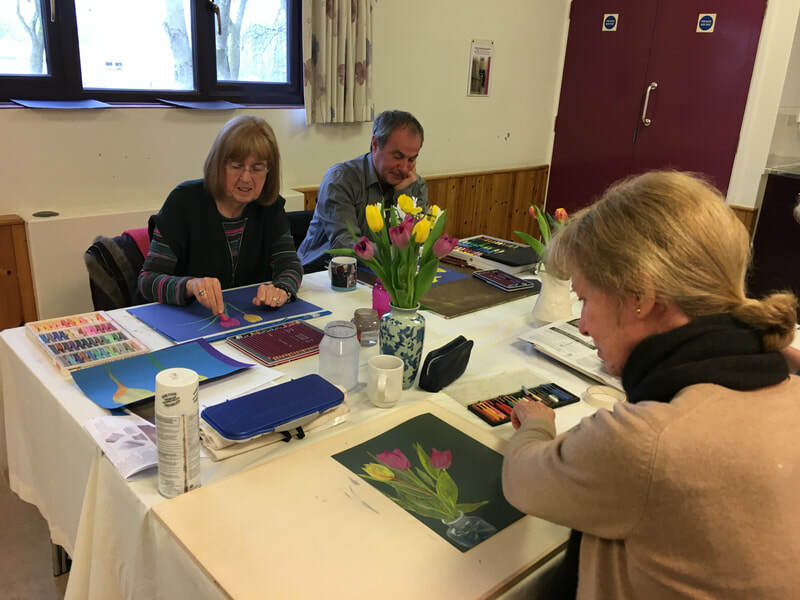 It was well attended and we all had a good time, including being creative! (Below) On Friday, 14 December, we held our last freestyle evening (for members) for the year. 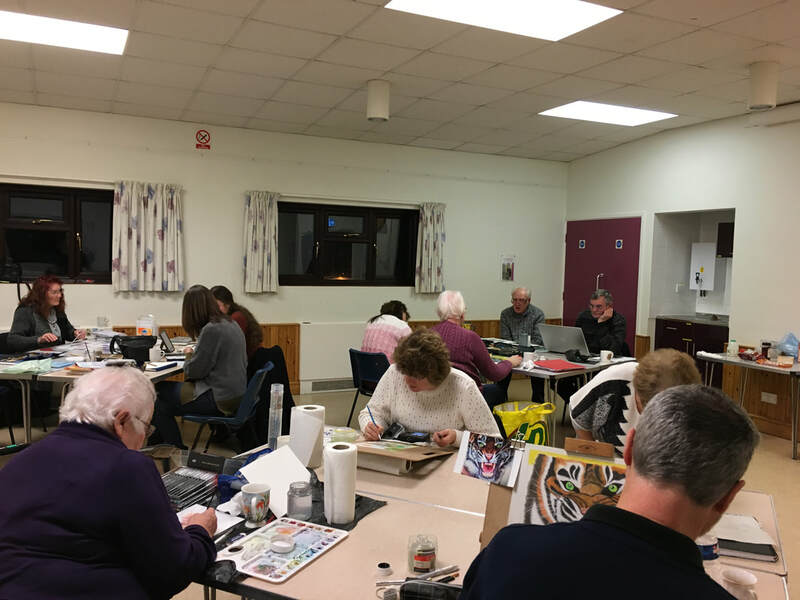 Despite the bitterly cold evening, our best attendance so far with 14 taking part. As usual, there was a mix of work which had already been started and new work being produced. 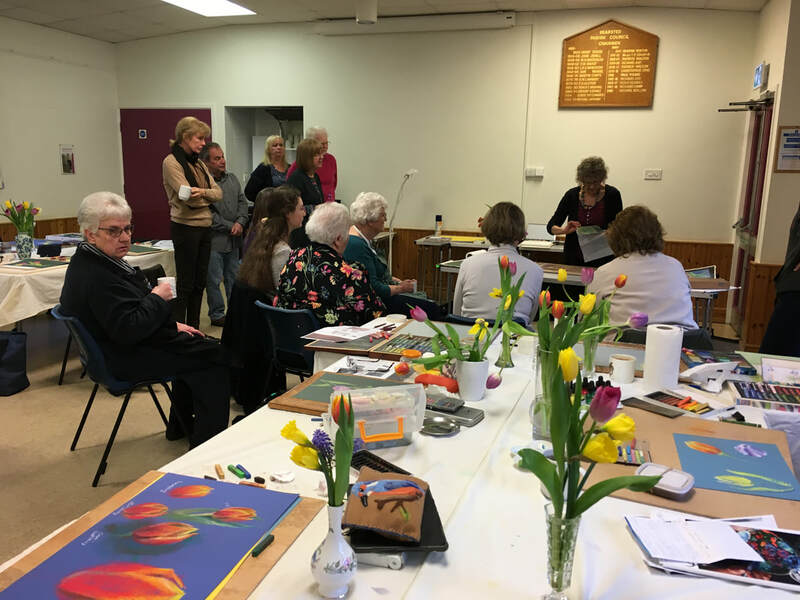 Everyone appeared to enjoy themselves - it is always a very sociable evening - enabling members who don't usually have the opportunity, to get to know other members. 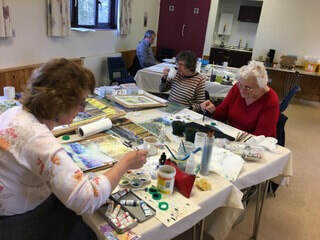 Peter Robson ran a Saturday workshop on 1 December 2018. Photos below. 4 June at Loose Allotments. Marjorie, Sue, Andy, Diane, Alison and Pat. 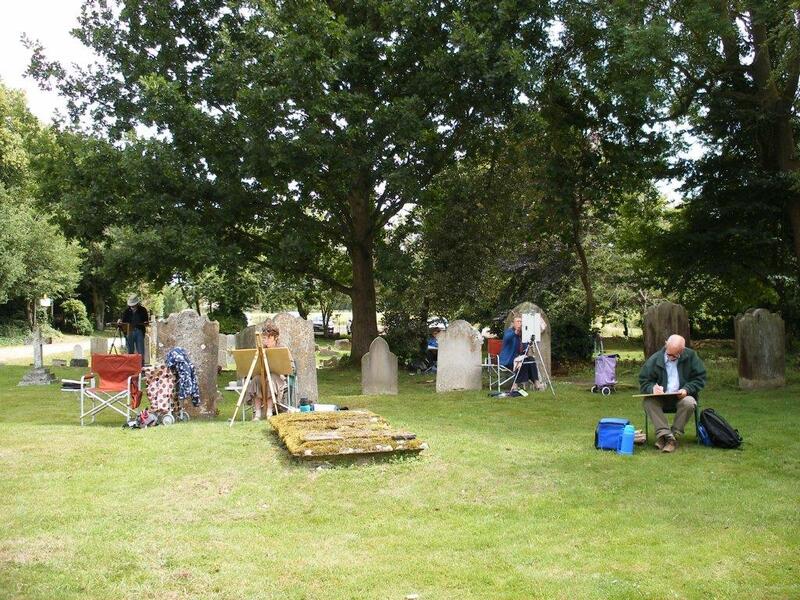 Painting 'en plein air' started on Saturday, 21 May at St Mary's Abbey, West Malling. Pictures below. 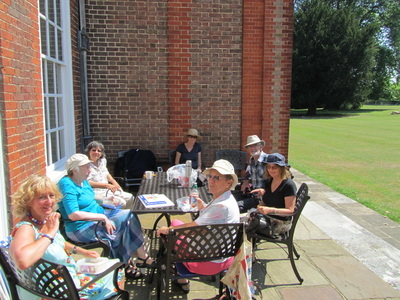 We were limited to 12 participants who spread themselves out and about in the extensive grounds. 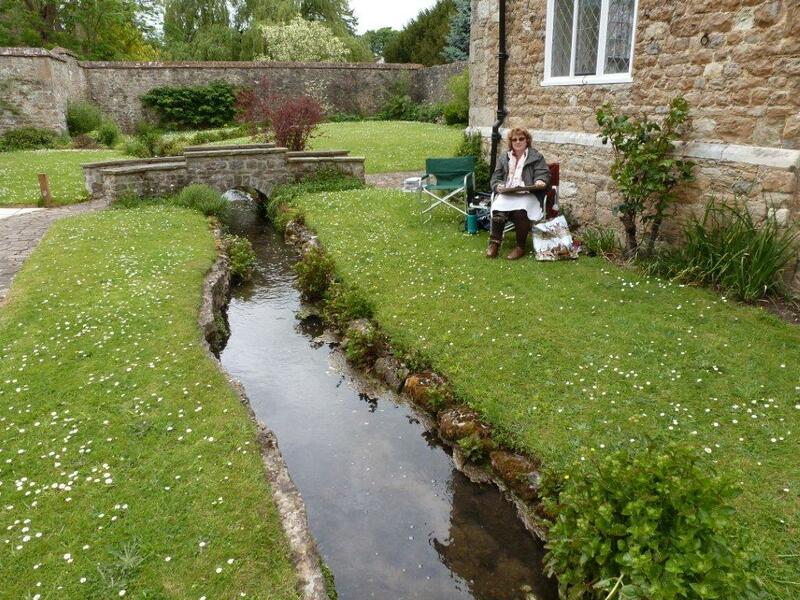 Painting out at Ford Place was very well supported by 12 members including our President, Jane Best-Shaw. We were made most welcome by our delightful host (and dog). This venue was facilitated by Pam Souter and Jerry, our Chairman. 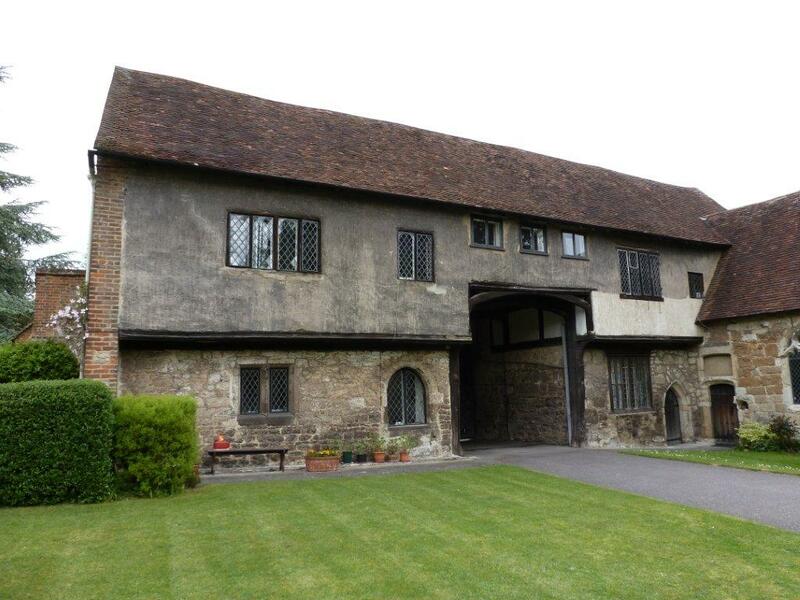 The venue provided a beautiful property dating from Tudor times with numerous additions and alterations over later centuries. The north and south facades were strikingly different. One with weathered brick and mullioned windows, the other, south facing and overlooking large gardens and terrace comprised very unusual multi-coloured stonework and “cement” render. 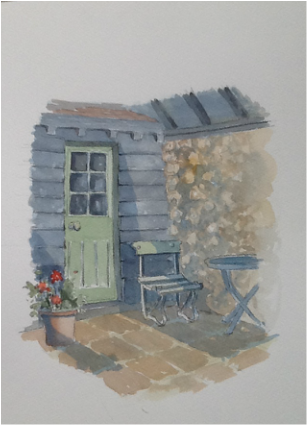 Replicating beautiful brick chimney stacks and capping to the gable end proved somewhat difficult for the artist. 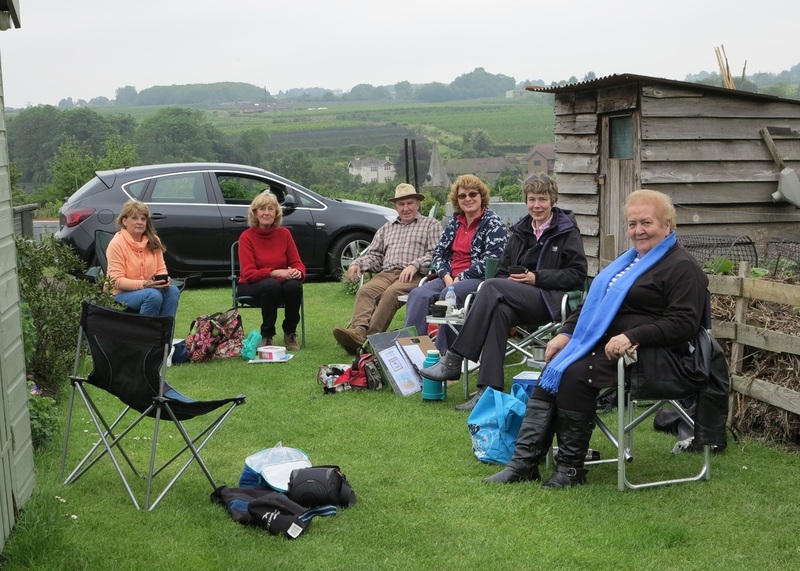 Apart from a few spots of rain we were able to make the most of a very enjoyable day and, like several other venues, we would be most welcome to return next year. 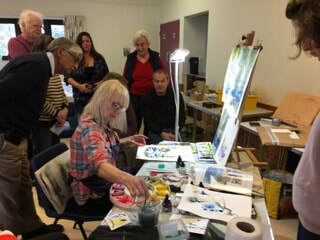 A handful of Members met for Painting Out at Godington House near Ashford. 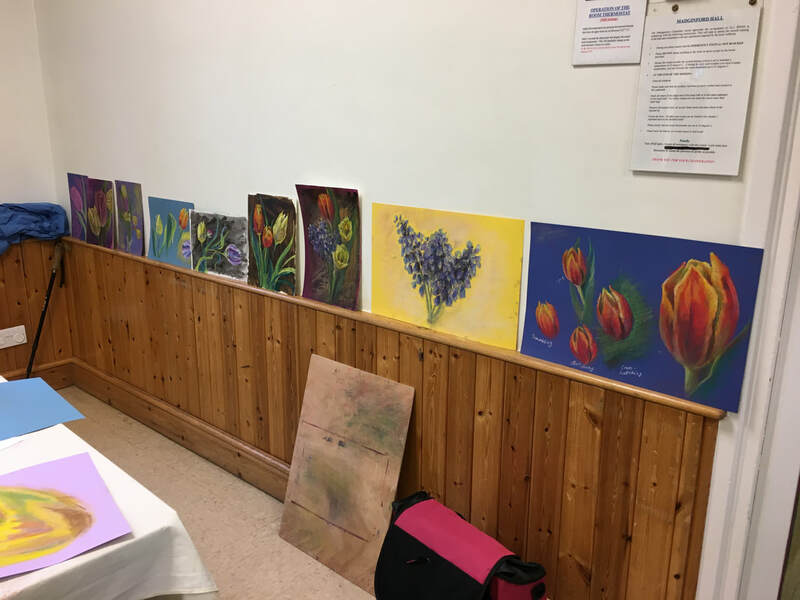 The venue for painting out was judged one of the best we have organised. It provided a good mix of gardens, landscape, water features and buildings dating from the 17th century with quirky corners and features. Even a herd of cows for the brave hearted, something for everyone in fact. 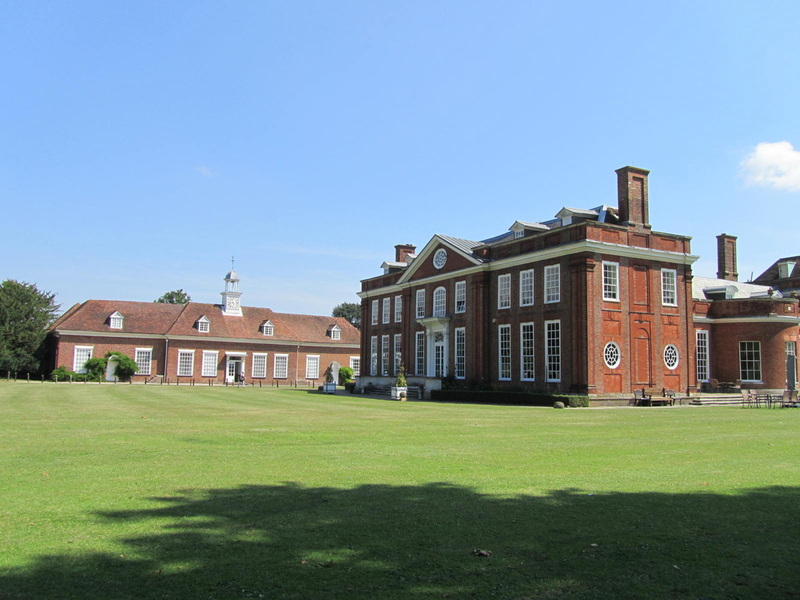 We were made most welcome being given unrestricted access well before normal opening time. 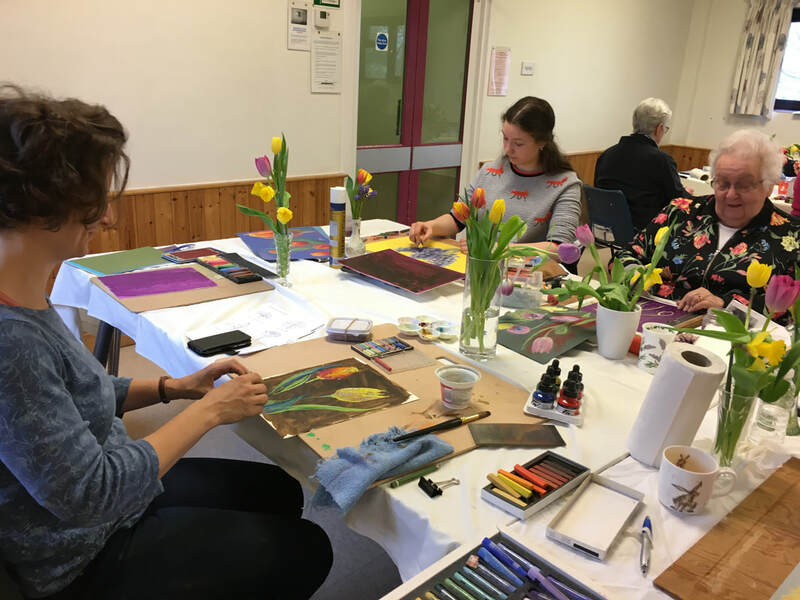 The weather was ideal for working outside and on reflection we thought this venue was ideal for members who have been somewhat reticent on joining us painting outside in that it was very quiet – no one to peer over your shoulder! 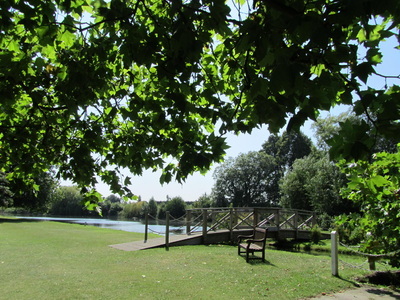 We thought that the standard £5.00 garden ticket was very good value for such an excellent venue and we will make an effort to ensure that it is included in next year’s programme. 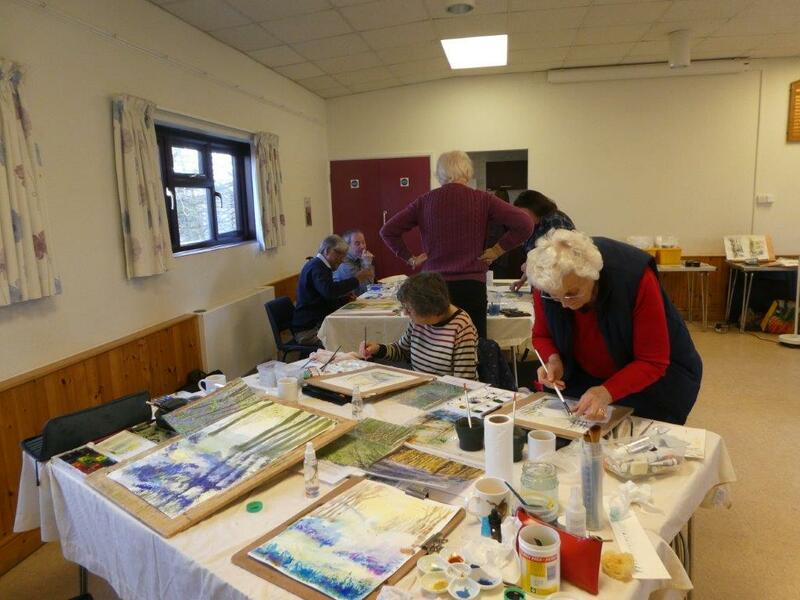 Five hardy souls braved the weather for Painting Out at Lower Halstow which was kindly facilitated by Ann Thompson. 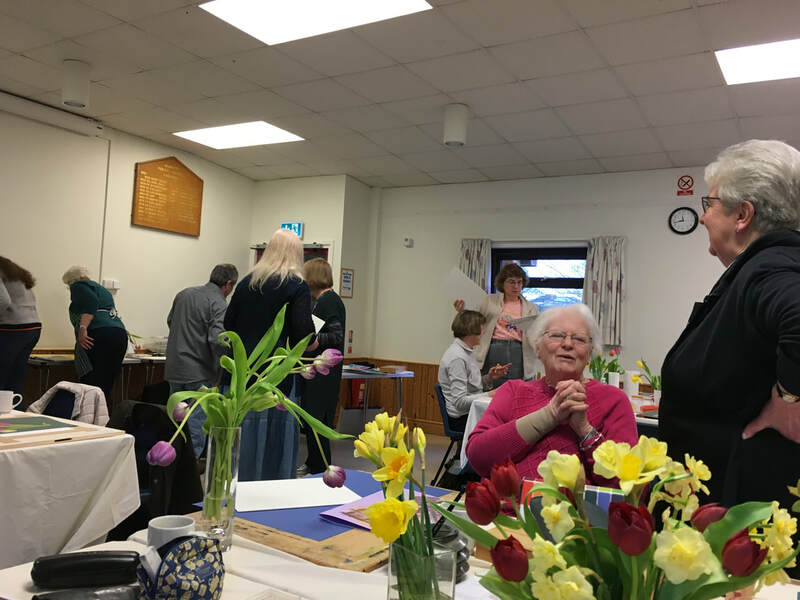 The last Thursday of the month was chosen to coincide with the monthly Church coffee morning – excellent hot drinks, cakes and savouries were enjoyed. This venue, putting aside the weather and solitude, could not have been more different to our previous outing to Godington. A small tidal inlet, the magnificent “Edith May”, a Thames Sailing Barge, together with a smaller, equally old sailing vessel all adjacent to the 14th Century Church, all this in a small area with an atmospheric backdrop of tidal salt marshes and the Medway Estuary. Initially the tide was in with both vessels moored side by side and riding high in the water but their relative positions changing in the breeze. If that wasn’t a problem for the artist, within an hour or so, the rapidly ebbing tide left both vessels resting on the mud with the smaller vessel canted over at a dramatic angle! 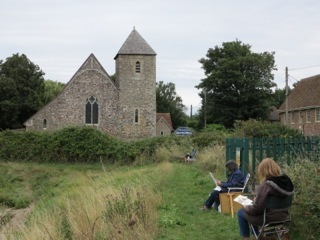 The expected rain started at lunchtime, earlier than expected, making painting intermittent at best, however the hardiest of the hardy continued sketching throughout. The venue was unanimously judged worthy of a return visit so next year beckons. 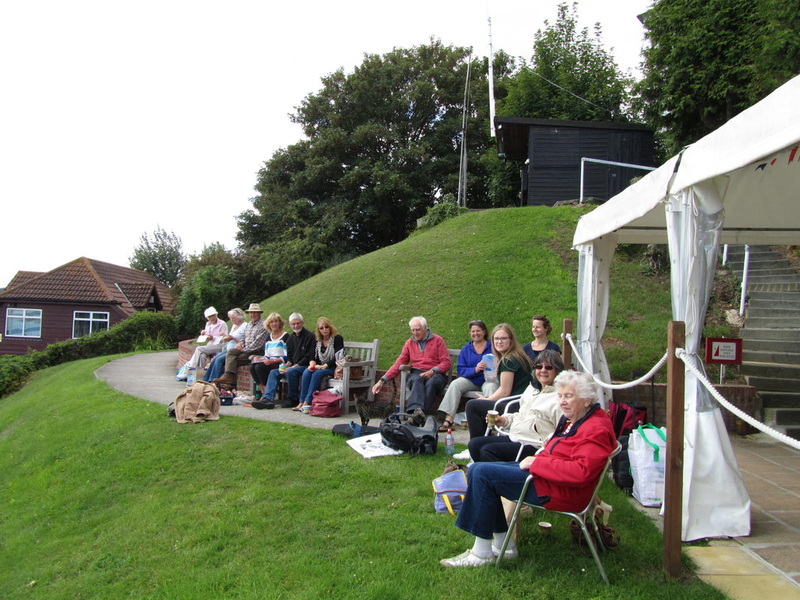 5 August - lovely photos taken by David Trowbridge at the Medway Yacht Club. Attendance was high and the weather was wonderful. 25 July at Tylers in Loose. 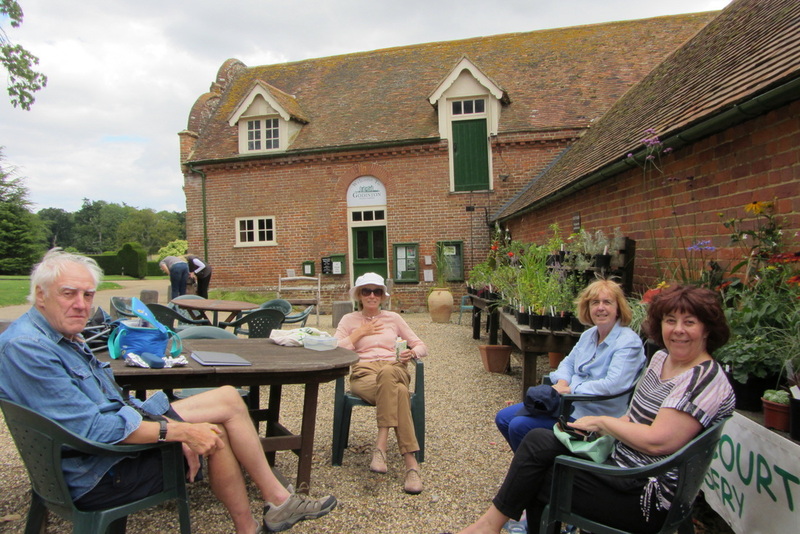 These photos were taken at Sherenden Farm House on 10 June. 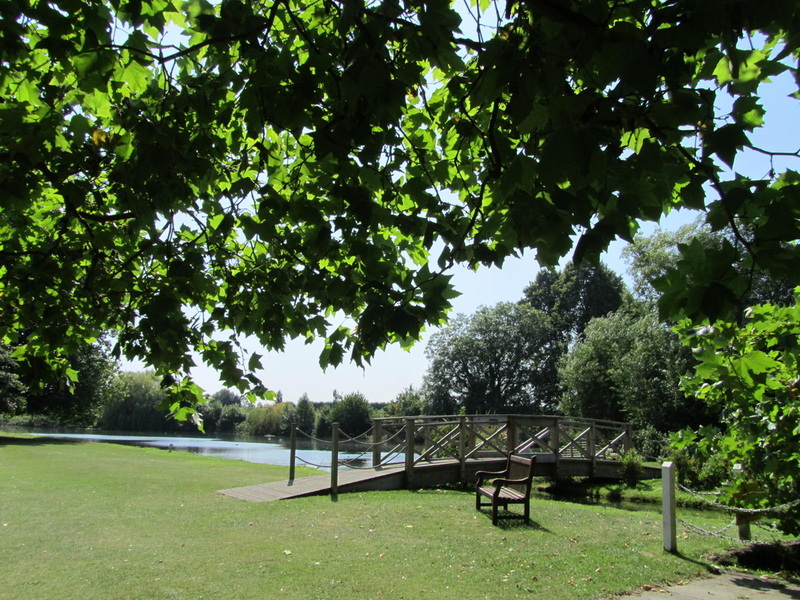 Eight members enjoyed the Saturday at Barming on 15 August: Terry & Dee, Christina Kemp, Julian Waite, Tess, Diane Hayes, Megan Christmas and Alison. Many thanks to Alison for organising the day. 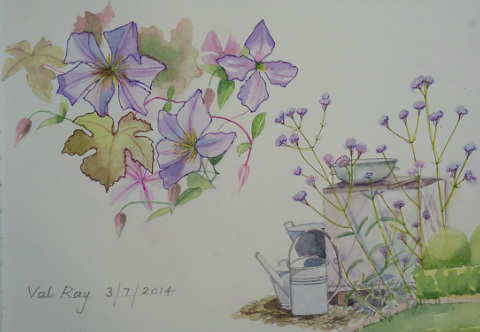 Painting by Ann Thompson on 10 June. 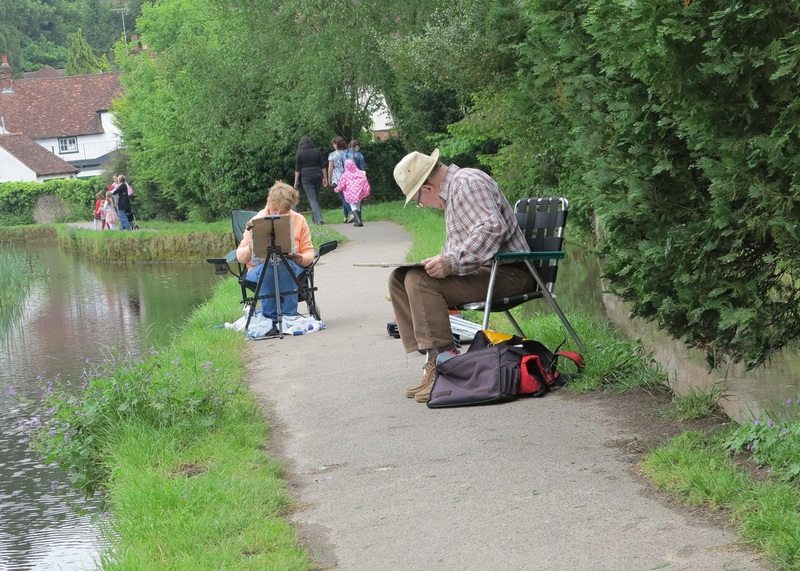 25 June - a productive painting day was spent in lovely weather at 'Ashley' in Otham. 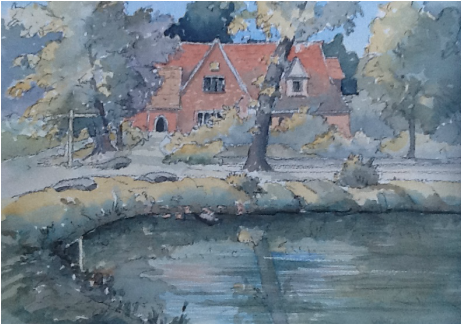 The first painting out day was at 'Ashley', the home of Mr and Mrs Chartier. Wonderful weather and a great day's painting. Thursday, 3 July, we spent the day at Chainhurst Cottages in Marden on what was probably the hottest day of the year so far. 'Thank you' to Mr and Mrs Scott for letting us share their beautiful garden, which has been featured in many garden magazines, including a German publication. 9 July at Dungeness. 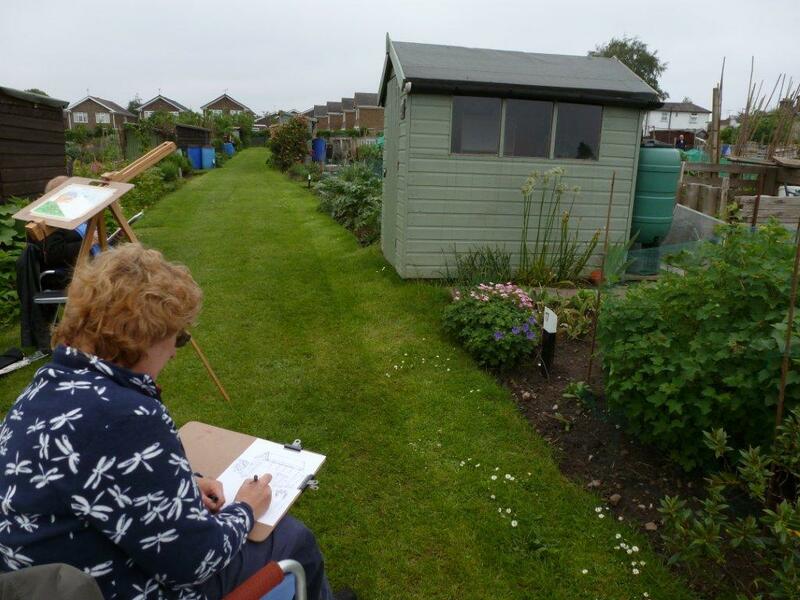 It was very windy and not a lot of painting was done but everyone had a good time. 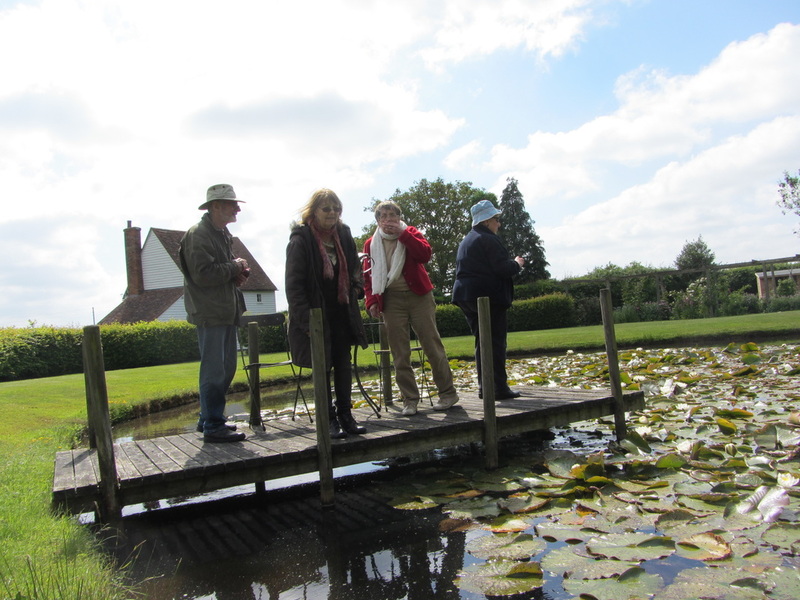 ABOVE: 7 August - at Mere House we had a beautifully sunny day with 16 members and guests who were made to feel so welcome by Mr & Mrs Wells in their beautiful garden with many delightful vistas. 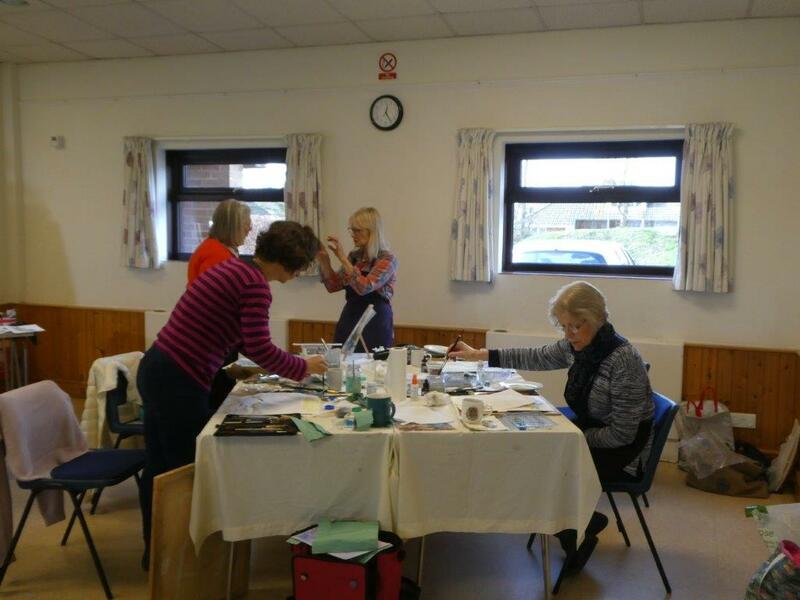 21 August - Medway Yacht Club painting out day was a great success. 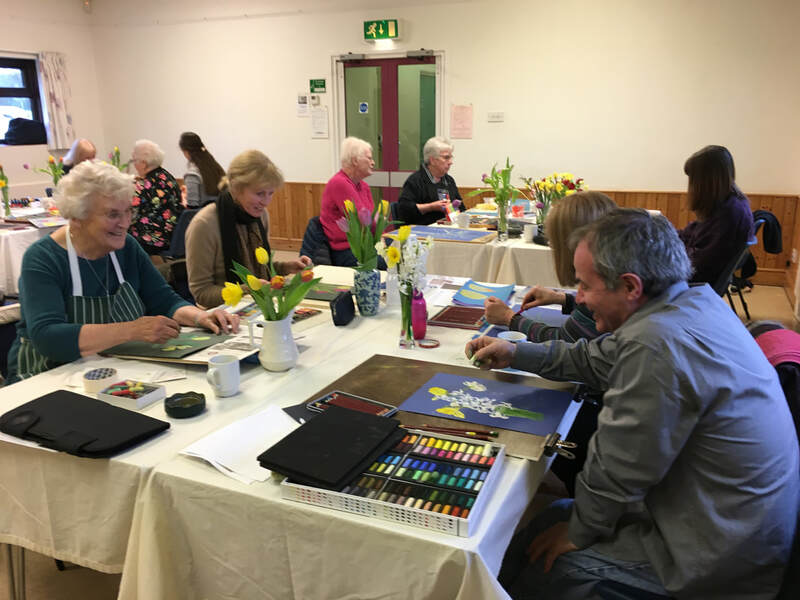 17 attended and some splendid paintings were achieved. We were asked back next year and offered further facilities if we required them. 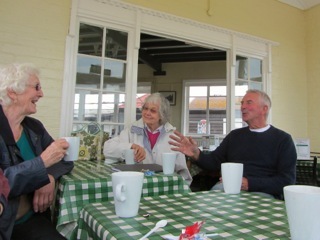 Those attending were very enthusiastic at the offer of a cream tea being provided by their very able Chef for us to enjoy at the end of our session next year. Though chilly, the weather was mostly bright or sunny. What a lovely day!